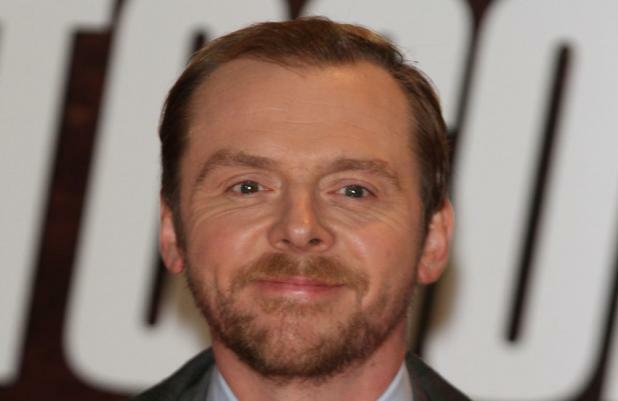 Simon Pegg thinks J.J. Abrams will do a "great job" on 'Star Wars'. The actor - who plays Scotty in the director's reboot of 'Star Trek' and the upcoming sequel 'Star Trek Into Darkness' - believes the filmmaker, who was recently confirmed to direct the seventh film in the space saga, is the perfect candidate for the job. Speaking exclusively to BANG Showbiz ahead of his hosting duties at the Oxfam charity screening of 'Beasts of the Southern Wild' at London's May Fair Hotel on Wednesday night (06.02.13), he said: "I can't think of a better man for the job. J.J.'s a fan. He's such an enthusiast, such a hard worker... he'll give it his incredible skill and talent. He'll make a great job [of it]." Despite being a huge fan of the film franchise and having ties to the series' new director, Simon, 42, admitted he hasn't contemplated a role in the seventh instalment - due for release in 2015 - as he would need to see the script first. He said: "I haven't seen the script and I don't know anything about it, so I couldn't possibly comment on that." J.J. will succeed series creator George Lucas as the director for the untitled 'Star Wars' continuation after Disney acquired the legendary director's Lucasfilm production company, including rights to the franchise, last year.